Game Boy Legacy Revived Via DSi? A recent hands-on event for the DSi yielded some interesting tidbits; who's up for downloadable Game Boy & GBA games to play on the go? The event was aimed primarily at Gold and Platinum Club Nintendo Members, and a few details on Nintendo's third DS iteration have been re-confirmed; 0, 500, or 800 Nintendo Point costs for games and applications; A soft reset function on the DSi by a quick tap of the power button; the Opera Internet Browser (thankfully of better quality than the previous one) not being built in, but available in the store from day one; and a free 1000 points to spend when you first hook up to the service. The big reveal here though, and most likely the reason you clicked on this story, is that original Game Boy games and Game Boy Advance titles will be up to purchase and download very soon. Much like the Wii's Virtual Console service, there will mainly be just first-party Nintendo titles up for grabs at first, and like the DSi shop in general, will all be region locked. One thing that will greatly please frequent fridge-cleaners is that gamers will be able to save and run these games directly from an SD Card in the DSi System, hopefully a sign of things to come for Wii. 8GB cards have been confirmed to work with the unit, so there should be no trouble with storage space. Suddenly, Nintendo's decision to remove the GBA slot makes a little more sense. Those sneaky buggers, eh? If it is true, I honestly can't wait at all to play Super Mario Land with a Wii Channel style pause system - that idea made Virtual Console games so much nicer to play. Hmm, lets hope they apply optional SGB or GBC-like colour palettes to a load of the original, Greyscale games. However I'm not raiding my bank account until Game and Watch games are announced. Also, they'd better allow for games like Pokemon RGBY to link with Pokemon Stadium on VC, or allow wireless (preferably online, too) multiplayer, if they release games like Four Swords from the GBA. I for one just want to download Metroid II, Kirby's Dream Land, Super Mario Land, and other Gameboy games I missed by being introduced to gaming a couple of years too late. But again, this goes only if the Game and Watch Zelda titles appear on there. This is awesome news, there are so many GameBoy games that I wanted to play, but never did because I never got a Gameboy. I can't wait. 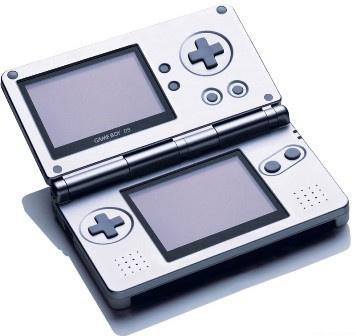 If Link's Awakening ever comes out for download, I'm definitely going to buy a DSi. It's the only selling point for me for the DSi. If we get titles like, say, MOTHER 1 + 2, MOTHER 3, Shantae... I could go on. Either way, until Nintendo makes the DSi appealing to those who want an actual successor to the DS (I am one of these people), I don't think there should be anyone falling for this. I agree with King Elemento and Dume. I would love to see that happen King! And I would definately love to see the Mother series happen on the DSi Ware service. I would personally download Pokemon Gold, Silver, and Crystal, Super Mario Land, Golden Sun 1+2, Metroid Fusion, and many others. I can't wait for all the old WarioLand games; WarioLand 3 was my single favorite gameboy game ever made!!! If they do release a VC service for DSi, I might be convinced to buy one. Seeing as how flaky and unreliable developers are about releasing games on the current Wii VC, I wouldn't get too excited. Companies are too greedy and lazy to resolve legal matters to release games with licensed content which are some of the best games. I want my DuckTales, Little Nemo, and TMNT2 for Wii VC! Expect the same disappointment for the DSi VC.